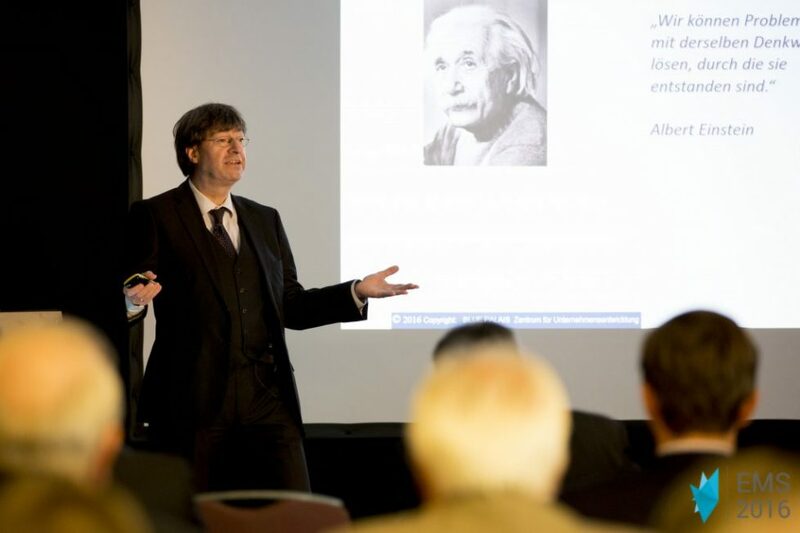 Prof. Dr. Carl B. Welker on Digitisation and Disruption during the EMS Summit, Berlin. Once Met – Forever Smitten. Information Management and Information Technologies are the major success factors for Corporate Future Viability. This has been our mission since the IIW Digital Institute was formed as a Venture Capital start-up in the mid 1990s. That´s why all IIW focuses on Digitisation and Disruption: It´s all about new conceptual frameworks and new solutions for Business Management and for IT Service units.